The quality appointments provide for comfort, quiet confidence, health and security. The paddling-pool awaits the youngest members of the family. The water-flume, with a height of 5 metres and having a 30m long slide offers thrilling fun. The Jacuzzi can accommodate up to 10 people to enjoy a relaxing massage at between 30-36°C. It is reserved for individuals over 12 years old. To take full advantage of the benefits and for your health and well-being, do not exceed more than 15 minutes per session. The Hammam is strictly reserved for adults and can be switched on and off as desired. Recommendation: 20 minutes maximum ! At the pool, the poolside is fully equipped with inviting sun-loungers for your relaxation. Access to the aquatic centre is strictly reserved for campsite clients. A handy mini-market is at your disposal: bread and pastries, fruit and vegetables, frozen foods, gift-shop, hardware, clothes and beach-ware, etc. In a friendly family atmosphere, the restaurant-pizzeria offers a daily set menu or a simple and savoury menu card. Our pizzas are made-up and cooked before your eyes by our highly competent pizza-chef. 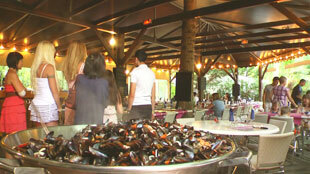 On a daily basis, we can also offer you take-away dishes: dish of the day, mussels, roast chicken, pizzas, etc. Whether it be for that first morning coffee, an aperitif with friends and family before your meal or a ice- cream during the evening show, the bar and terrace are at your disposal from 8.00 am until midnight. We offer a wide selection of ices and cocktails. Monplaisir is also a wine producing estate. 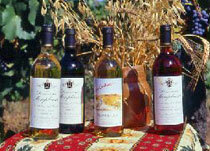 The Monplaisir wine-cellar offers a selection of wines produced and bottled on site. Wines are sold in bulk or by the bottle: red, white, rosé and muscat. The central sanitary block is open 24 hours, offering showers, WC’s and baby-bath. It also provides a laundry with washing and drying machines together with ironing board and iron at your disposal. Two other sanitary blocks are available for your use between 7.00 am till 10.00 pm. Également disponibles : deux tables de billard et des jeux (baby-foot, flipper, simulateurs…). By payment subscription, take full advantage of internet access in your mobile home or on your own terrace. Karaoke, Circus evenings, puppet shows, magic, music-hall. After the evening activities, night-time silence is the rule for all. Advice on available services and the practical functions of your mobile home. Purchase of wifi internet access cards. Information and assistance for persons with disabilities or reduced mobility. Accident and emergency assistance, defibrillation point. Information related to sustainable development. Valras Monplaisir accepts travellers cheques. Problem to play this video ? Especially do not clutter the emergency access. Persons visiting site residents are requested to leave their vehicles in the external car-park. Domestic animals are permitted, however they must be vaccinated and be retained leash within the campsite. In everyones interest, we do not accept dogs classified within categories 1 and 2. 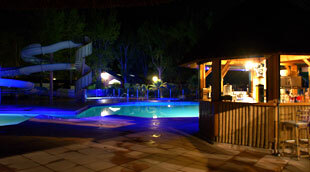 During night-time hours, security patrols are regularly carried out by qualified personnel.